Supporting the war fighter with safe, quality ammunition for more than 70 years. American Ordnance LLC (AO) is a premier manufacturer of ammunition to the United States Military. 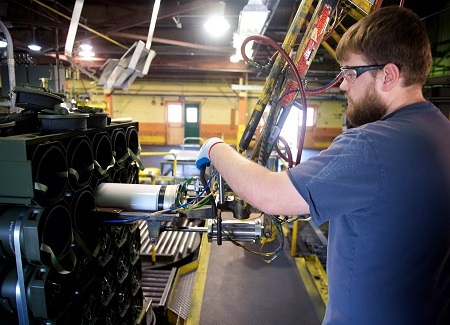 American Ordnance LLC is one of the Day & Zimmermann, Inc. family of companies with production facilities at the Iowa Army Ammunition Plant (IAAAP) and storage facilities at the Milan Army Ammunition Plant (MLAAP). AO is the operating contractor of the IAAAP and MLAAP, where it maintains the facility and manages multiple munitions programs as either a prime contractor or significant subcontractor. 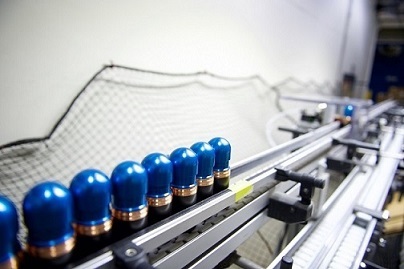 AO’s capabilities encompass a wide array of development, load, assemble and pack (LAP) requirements for medium to large caliber ammunition and other explosives. Our contracting responsibilities include production and systems engineering, quality engineering, quality assurance, supply chain management, production and project scheduling, manufacturing, production line support, storage, transportation, environmental and security. We produce ammunition, explosive production, pressing, development, and test fire. Our ammunition consistently meets rigid specifications and guidelines set forth by the U.S. Government and other customers. We exceed the expectations of customers in terms of service, production quality, and delivery of merchandise. We have an experienced, skilled, knowledgeable and certified management team in place that is known throughout the industry as a good value to its customers. 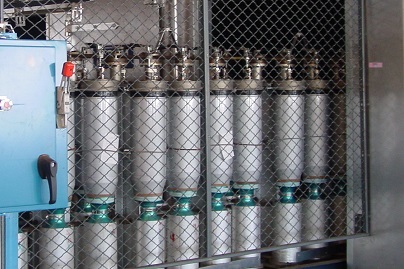 The Iowa Army Ammunition Plants offer numerous flexible Load, Assemble, and Pack (LAP) production lines, complete development capabilities, test fire areas and storage facilities for both hazardous and inert materials. 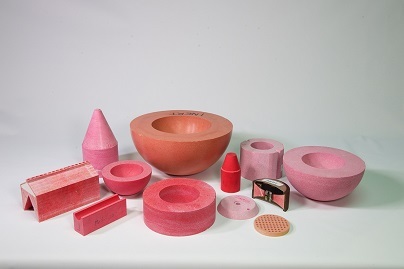 American Ordnance’s production capabilities range from special prototype projects and testing to high rate manufacturing, including the casting and pressing of explosive components and final assembly of the completed product. 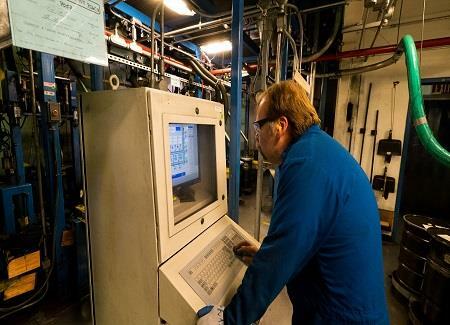 Our production mission is supported at both plants by a highly qualified and professional staff of engineers and technicians that apply unique knowledge and extensive experience to the design of facilities, equipment, and processes. This dynamic combination of experience, knowledge, and ingenuity provides American Ordnance customers with cost effective quality products. American Ordnance LLC, operator of the Iowa Army Ammunition Plant, has a unique test fire range. 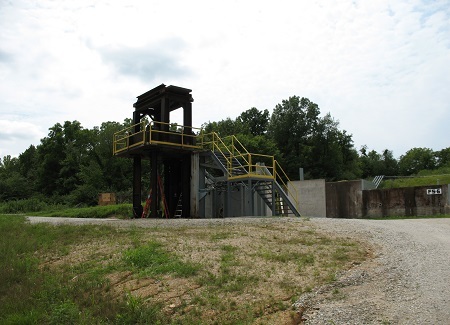 This test site closely supports the development and production of ammunition by quickly providing test results, as well as helping to ensure the production of quality munitions that offer exemplary performance. This facility is equipped with both vertical and horizontal test stands, flash x-ray, Vision Research Phantom 12 high speed digital video and a Cordin camera (model 126). Examples of products tested on the site include the I-TOW, TOW2, Javelin, Hellfire, Copperhead, Viper, SFW, Sidewinder, Tank Warheads, TOW Tip Charge, various EFPs, 40 lb. 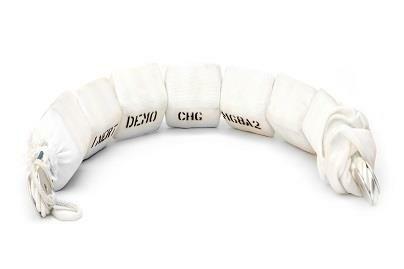 cratering charge, and numerous developmental items up to 40 lbs. explosive weight. The 40mm grenades, produced in the Medium Caliber Business Unit, consist of a cartridge cage with a fixed round of ammunition. Cartridge case assembly with several different projectiles. The round may be high velocity or low velocity. It is a high explosive dual purpose or target practice (including flash bang). Thermobaric and canister models have also been produced. 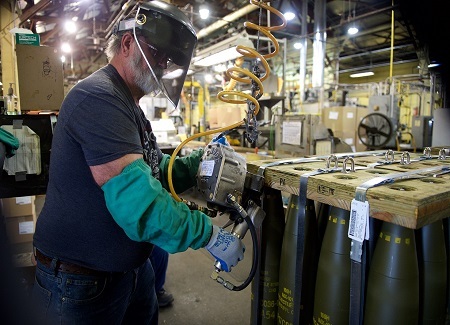 Safety continual improvements in processes and equipment used in the production of the 40mm grenades allow for competitive pricing, while improving quality. Additionally, American Ordnance has experience in processes associated with the development of new rounds incorporating innovative technologies. Throughout its history, the Medium Caliber Business Unit has produced tens of millions of rounds for the U.S. Military and other State Department approved customers. 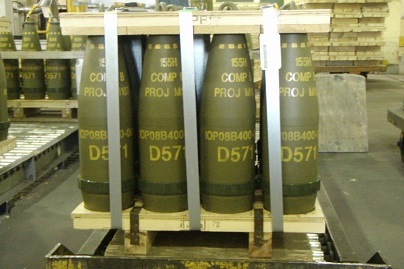 American Ordnance has also successfully delivered various 40mm grenade products to approved International customers. 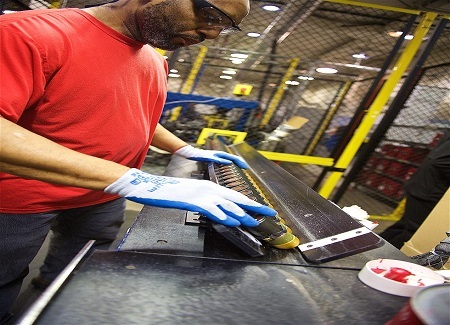 American Ordnance incorporates Lean Manufacturing quality principles to continuously improve processes. American Ordnance LLC operates the Energetics Business Unit, located at the Iowa Army Ammunition Plant. The primary mission of the Energetics Business Unit is to safely Load, Assemble, and Pack (LAP) high-quality explosive-ordnance and components for the US Government. The Energetics Business Unit processes a broad range of energetic materials to support a diverse product line. Its capabilities include explosive melt pour, cast cure, and extrusion processes; and processing of blackpowder, flake and ball propellants. Explosive loaded products include the families of 60mm, 81mm and 120mm mortar cartridge assemblies. Extruded explosive products include demolition charges for mine clearing, obstacle reduction, and explosive demilitarization operations. Propellant loaded products include ignition cartridges and propelling charges for 60mm, 81mm and 120mm mortar cartridge assemblies. American Ordnance LLC operates the Indirect Fire Business Unit, located at the Iowa Army Ammunition Plant. The Business Unit is dedicated to the safe Load, Assemble, and Pack (LAP) of melt pour artillery, large caliber mortars, and other indirect fire munitions. Our production mission is supported by a full staff of engineers and technicians who apply their unique knowledge and extensive experience to the design of facilities, equipment, and processes. This significantly reduces the time and cost involved in taking new artillery, mortars, and warheads from development through low rate initial production into full production. 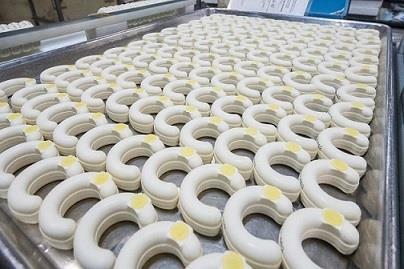 Production initiatives that ensure quality and reliability include a digital x-ray system and bar coding. American Ordnance can also meet insensitive munitions (IM) requirements with a state-of-the art flexible IM manufacturing line. 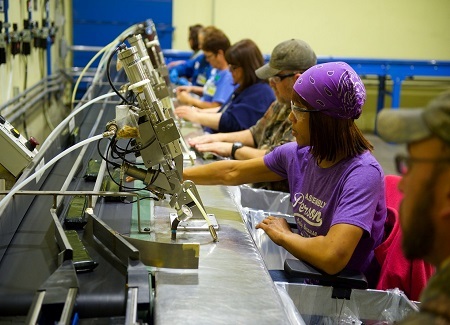 Direct Fire Operations, located at the Iowa Army Ammunition Plant, provides safe Load, Assemble, and Pack (LAP) of current tank ammunition product lines and warheads. Our production mission is supported by a full staff of engineers and technicians that can apply unique knowledge and extensive experience to the design of facilities, equipment, and processes. This significantly reduces the time and cost involved in taking new tank ammunition from development to low rate initial production and finally into full production. Unique capabilities include flexible manufacturing lines, tactical cartridge assembly, target practice cartridge assembly, warhead pressing, and large caliber recapitalization. Production equipment updates include the epoxy paint system, automated propellant loading, barricaded chamber gage, and primer insertion machines. American Ordnance LLC, operator of the Iowa Army Ammunition Plant, has safely pressed more bonded plastic explosives than anyone else in the world. Capabilities support a full range of ammunition items including explosive forming and missile warhead assembly. © 2018 American Ordnance LLC. All rights reserved.